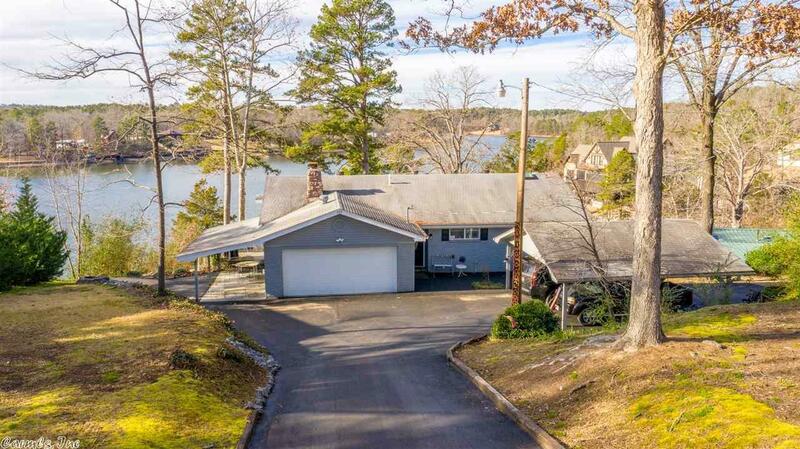 Main channel lake home . . with five bedrooms, a big open floor plan great room, downstairs family and game room, and Pella doors with internal blinds to a 60' covered lake deck and lower patio. The totally new kitchen features a 5' x 10' kitchen island with 1.5" solid maple top, s.s. drop lights, custom Frigidaire ss. refrigerator and dishwasher, a 28" Thermador wall oven, microwave, and a five burner gas surface range . . all in natural finish birch cabinets with self-closing doors and drawers.